I still chose the Pebble Time Round despite knowing that it has significantly less battery life compared to its other Pebble Time siblings. I knew I had to suffer the consequences and I worried about having another device that needs to be charged daily. It made me anxious if my watch will die while my day is still not over. The TimeDock made me forget about all my anxieties. Using the TimeDock, I never had to think about charging my watch during my daily routine. I just put the watch in the dock while I’m preparing to go to work in the morning. The Time Round only takes about 20 to 30 mins to fully charge so the perfect time to charge it is while having a shower. I’ve been using the TimeDock for 6 months and it continues to function well. 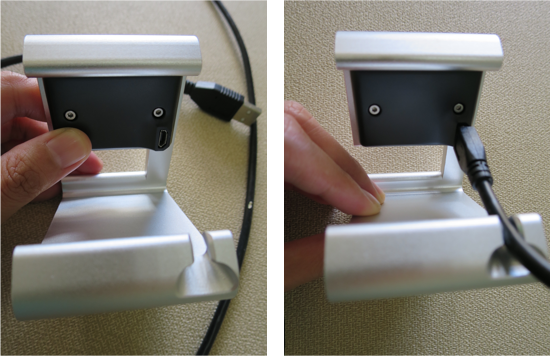 The use of neodymium magnets allows ease of docking and undocking. Neodymium magnets are the strongest type of magnet commercially available. Using the magnets to connect the Pebble Time is very convenient, that it is forgettable. You forget that you need to charge watch, the TimeDock becomes a natural placeholder for your Pebble when you don’t use it. 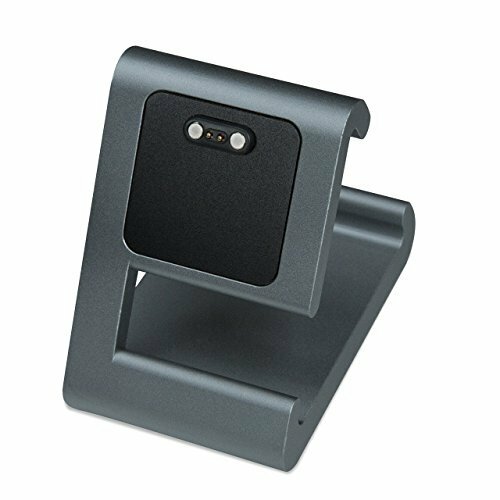 The moment you pick up the TimeDock, you would know that the quality is good. Its base material is solid anodized aluminum. And since it’s only about 3 inches in height and weighs 6.4 ounces, it is stable. You can dock and undock with ease without knocking the stand over. No need to worry about having your Pebble proprietary cable all the time. The package already includes a micro USB cable but it helps to know that if the cable breaks, it is easily replaceable. The rubber footing prevents slipping and it provides an sticky layer between the dock and the surface where you plan to place it. 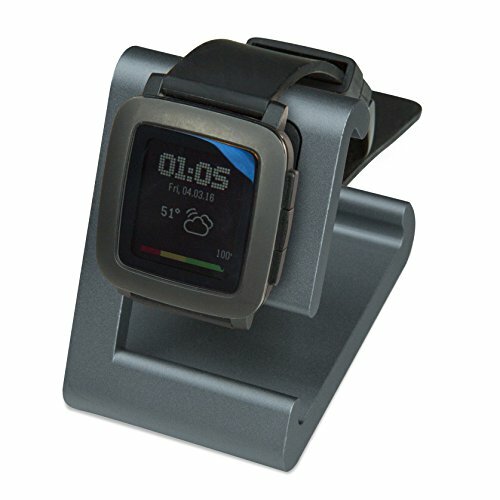 The angle of the TimeDock allows the Pebble Time watchface to be highly visible. It puts the watchface at an angle of display that is perfect for table-tops and nightstands. This makes the watch usable as a display even while charging. 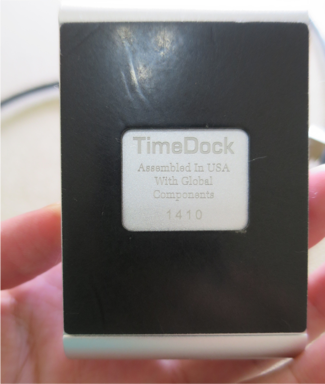 There is only 1 downside to the TimeDock – its price. It’s almost 200% more expensive compared to other similar products but it is the only one with solid reviews. Quality does come with price. Are you a Pebble smartwatch user? What do you think about the TimeDock? Let us know by sending your comments below.